DAVIE — When Sean Osceola takes the mound, the Pasco-Hernando State College baseball team pretty much knows it will be in a game into the later innings regardless of the team’s offensive production. As a freshman starting pitcher, Osceola has adjusted well to the college game after graduating from Okeechobee High School last spring. He reached late March with a 5-3 record and has become a reliable arm for Pasco-Hernando coach Lyndon Coleman, who said Osceola has been providing the team six or seven solid innings nearly every outing. That’s exactly what Osceola did March 15 when Pasco-Hernando faced Broward Community College in an afternoon game only a few miles from the Seminole Tribe’s headquarters. With his parents Reno and Kelli in the stands, Osceola fanned six, scattered eight hits and, as usual, had command of the strike zone as he issued just two walks in six innings, although he went deep into counts in the early innings and gave up a solo home run. He said after the game that it wasn’t his sharpest performance. Osceola fanned two batters each in the second and fifth innings. Pasco-Hernando’s offense never found its rhythm with six hits and no runs in a 3-0 shutout. 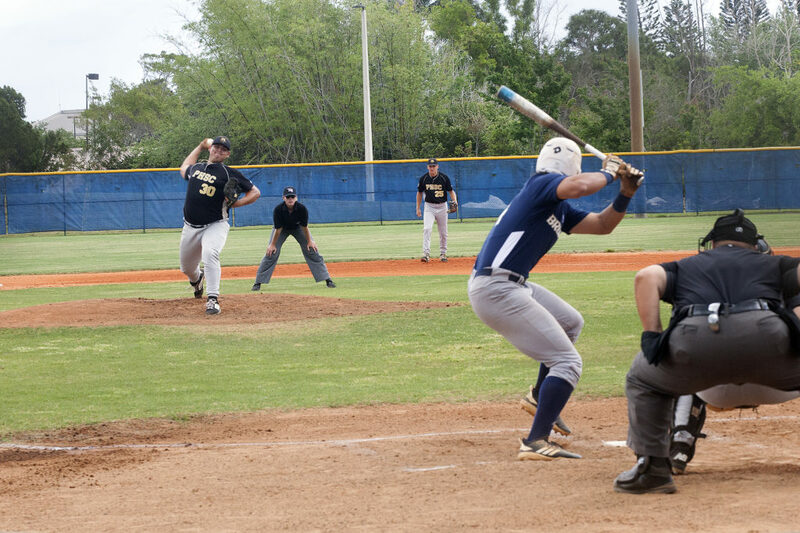 After he helped lead Okeechobee all the way to the regional finals as a senior – outdueling some of prep baseball’s pitchers along the way – Osceola has fit into the Pasco-Hernando program nicely, Coleman said. “His work ethic is one of the best on our team. He shows up early. He really works hard,” Coleman said. That hard work has paid off on the mound for Osceola, who led the staff in wins (5), strikeouts (42) and innings pitched (51). One of Osceola’s highlights early in his college career came Feb. 16 when he tossed a one-hit gem in a 9-2 win against Lake Sumter Community College. Osceola held Sumter hitless for six innings before giving up a hit in the seventh. He was removed right after the no-no was spoiled, but it was still a memorable outing. Always known for his control, Osceola’s pitches have impressed Coleman in less than a season’s work. “He has a really good breaking ball, one of the best I’ve seen in college baseball,” Coleman said. As for the team, Pasco-Hernando regrouped after being shut out by Broward and had won six in a row as of March 26, its longest winning streak of the year. The team upped its record to 19-15. During the streak, Osceola picked up a win against IMG Academy with six innings of two-run ball with one walk and five strikeouts.